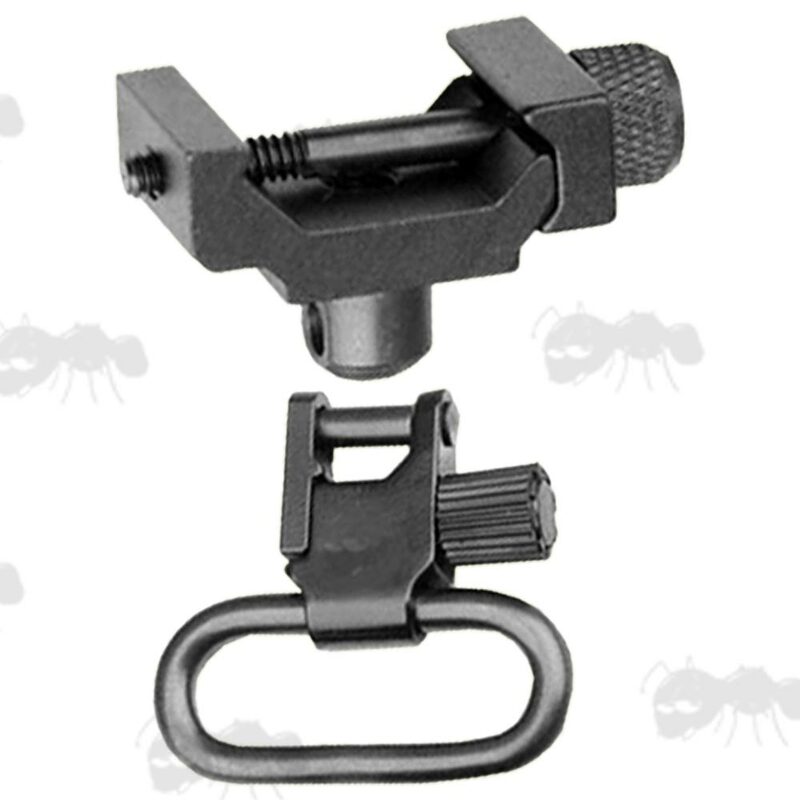 Standard sling swivel stud base. 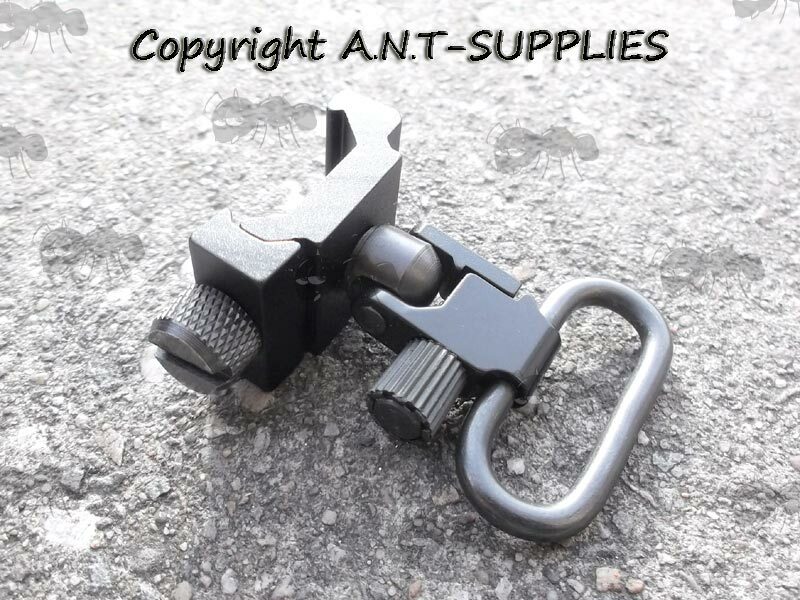 Quick attach sling swivel adaptor for RAS/RIS 20mm rails without need for alteration. 3/4 inches / 19mm long. Base unit weighs just 19 grams. A convenient and fast way to install and remove a sling to and from your rifles rail / forend. 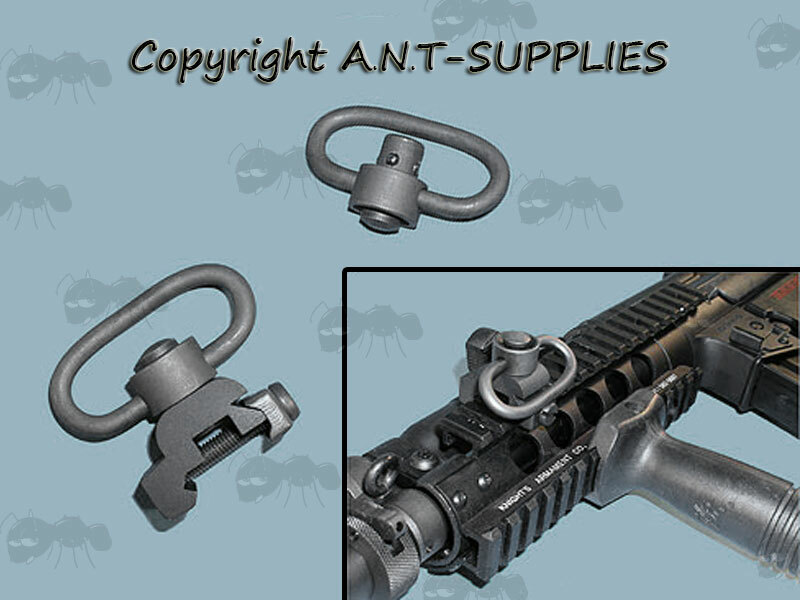 Also available ~ Fixed rail sling attachment points. Ideally suited to sling this type of sling. 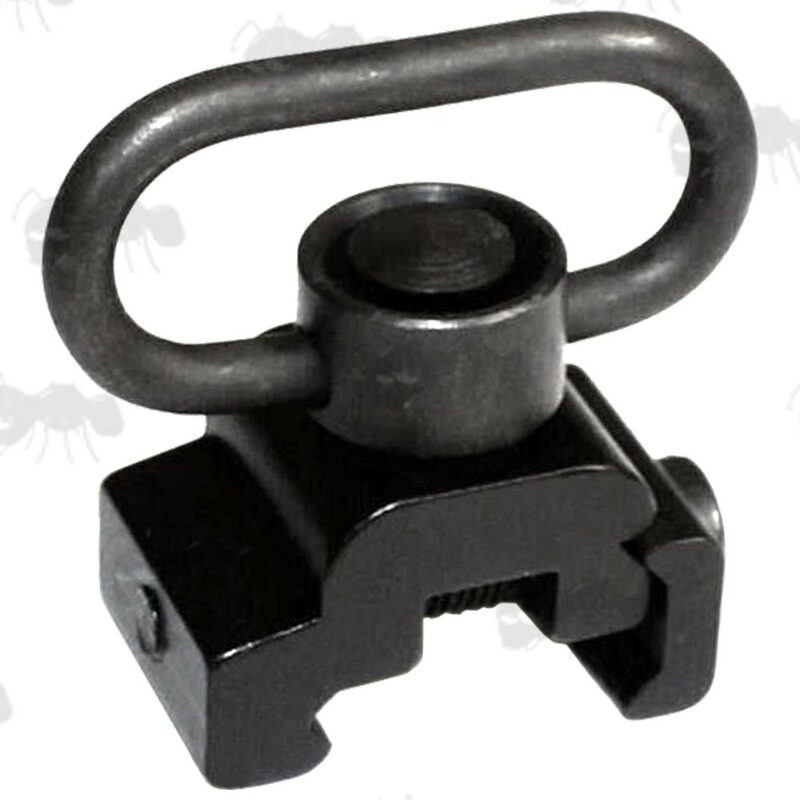 Also available ~ QD 10mm socket swivels. Also works with most generic bipods that fit on quick detach studs, and Harris bipods etc. Complete with one Uncle Mikes swivel.